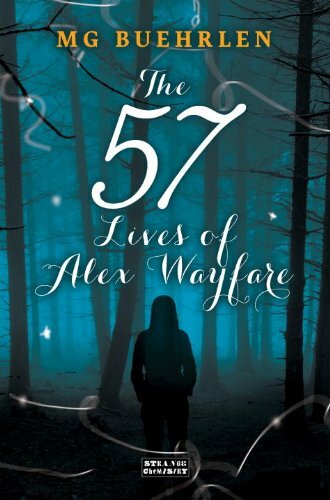 After falling madly in love with the reincarnation premise of My Name Is Memory, I of course had to try The 57 Lives of Alex Wayfare by M.G. Buehrlen. And now that I have, I feel…deeply mixed. I enjoyed the read! But not without reservations. Time travel is not by any means a bad premise…but I feel a little cheated anyway, because Porter had to mention that Alex has past lives stretching back to the fifth millennium BC. That’s 7,000 years…and yet, apart from very brief glimpses, we only travel within the last 150 years, in the United States (and I think Denmark once. Maybe). Such missed opportunities!! This is the first book of at least two (more on that later) so there could be more coming…but it still feels like there could have been so much more here! So much for premise. As to the characters–other reviewers have had some problems with Alex. I found her likeable enough, irresponsible at times but largely well-meaning, struggling with identity and sometimes confusing priorities, but in a very teenager way. Except she’s also really, really clueless sometimes. There were quite a few moments where she’s whining about something not making sense, while I want to shake her and say, “Oh come on, it’s obviously XYZ!” To be fair, I was wrong once or twice (and right more often), but I still feel she should have been coming up with theories, even if a couple were later disproved. I have one theory that, quite frankly, was all I really wanted to find out about in the last couple of chapters (either I’m right, or there’s a massive red herring here) and…the book ended about a page before a reveal. Seriously. It’s like a season finale where the character opens a door–and we have to wait until the next season to find out what’s inside. It was that close to an answer (unless more monkey wrenches are coming, of course). So I guess I’ll be reading the next one…which I’d probably do anyway, to see if a second book takes on some of the opportunities this one missed! I do have a copy of this to read but I kind of got distracted by some of the more negative reviews. I should just get over it and pick a copy up – although I’m not sure that the character Alex is going to be my favourite and I’m also not convinced about the ending! Time will tell.